Few more hours on the clock & this year is going to end. Most of us are planning parties on this New Year's Eve. 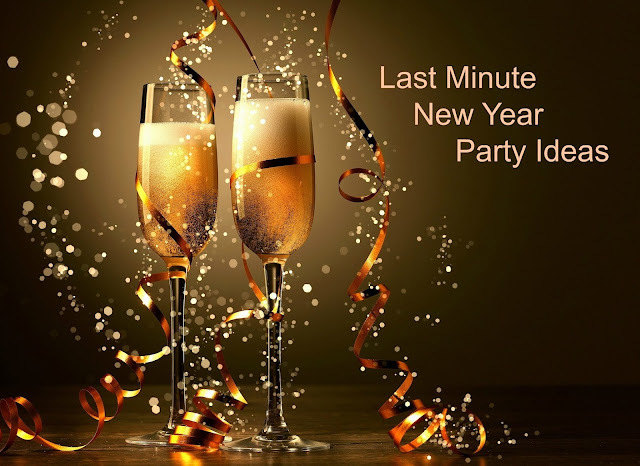 Putting few of the ideas together I am giving Last minute New Year Party Ideas in this post. I am mentioning this for new year however these holds good for any other party day too. 1. Take 10 minutes of your time to get your Checklist before starting any of the preparations. Think about what you are planning, how you are planning, what things you will be requiring & how you will be doing it. This way you will ensure that you are not missing on any important things. 2. Decide your Theme & Dress Code to give a festive look. It may be Red-Black or Blue or anything of your choice but should be easy for everyone to follow. You can pick the same color to do the decoration to give it a perfect look. Call your guests before and let them know in advance about the theme. 3. If Decoration is giving you Stress you don't need to think much. Use balloons instead matching your color theme. Also Arrange your Furnitures before guests started coming in to make a comfortable space for everyone. If kids are on the guest list feel free to keep all your delicates and fragile valuables in a Safer place. 4. Choose Recipes which are less time consuming or which can be prepared in advance. 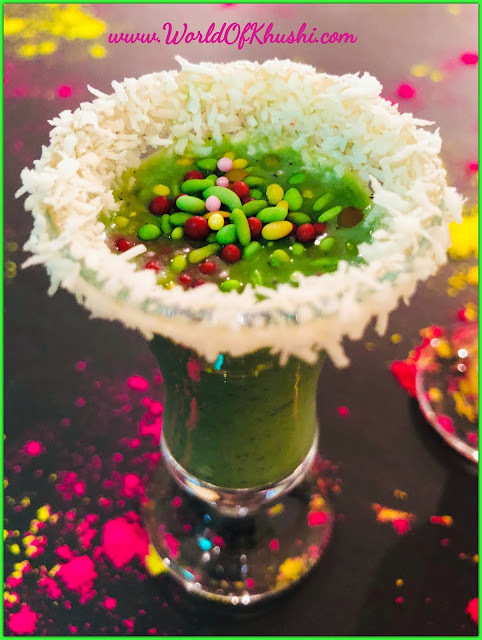 This way you can also enjoy the party with friends & family instead of putting more time in the kitchen. Some of the quick recipes I shared in my website before. You can also go through them. Incase you want to avoid cooking you can Order in from your favorite restaurant. Some of my quick recipes are Grinch Fruit Kabobs, Cold Sandwich, Baked Jacket Potato With Cheese, Green Sauce Pesto Pasta, NewYear Special HealthyWheat Pizza, Fruit Bowl with my twist, Chocolate Strawberries, Oreo Penguins, Instant Chocolate Coconut Lollypops. 5.Instead of your fancy Dinnerware go with Disposables. I know we all love our beautiful Dinnerwares but nobody wants to spend their 1st day of Year in only cleaning. 6. Prepare your Playlist before. In order to avoid last minute rush prepare a party songs list in advance. You can checkout in YouTube for Songs Playlists, this will save your time. 7. Dress at your best but make sure you are not only Looking Beautiful but are Comfortable too. You never know who can ask you for a dance today :) Although we people take time in deciding our dress but make sure you are ready early; after all it is your Party. Don't keep your Guests waiting. 8. Get your Games Out as they are very good ice breakers. It can be UNO, Cards anything; nothing is childish during this time. Each guest can also write their New Year's Resolution on a card and then all can tell one at a time. This will also be a fun game. I hope you guys have liked this post. If you like this don't forget to share with your friends & family too. Follow me on Facebook, Instagram, Google+. Will see you in another post; till then take care.